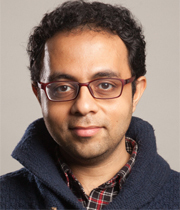 Sambuddho Chakravarty completed his Ph.D. in Computer Science from Columbia University in 2014. He was advised by Prof. Angelos D. Keromytis. His research focuses on Network Anonymity and Privacy, Network Surveillance and Anti-Censorship and Network and Distributed Systems Security in general. During his PhD he studied novel practical traffic analysis vulnerabilities of popular anonymity networks like Tor. He has served an intern at Telcordia Applied Research, New Jersey and Force 10 Networks, California.